Cellular Shades not only enhance your windows, and room but your wallet too. Energy saving Cellular Shades can save you money on heating and cooling costs by insulating your windows from heat and cold. Home Decorators Collection Cordless Top Down/Bottom Up offers versatility in light and privacy control by allowing you to lower or raise the shade from the top down or the bottom up. The honeycomb cells are made with durable fabric that form crisp, clean pleats to keep your window looking sleek. 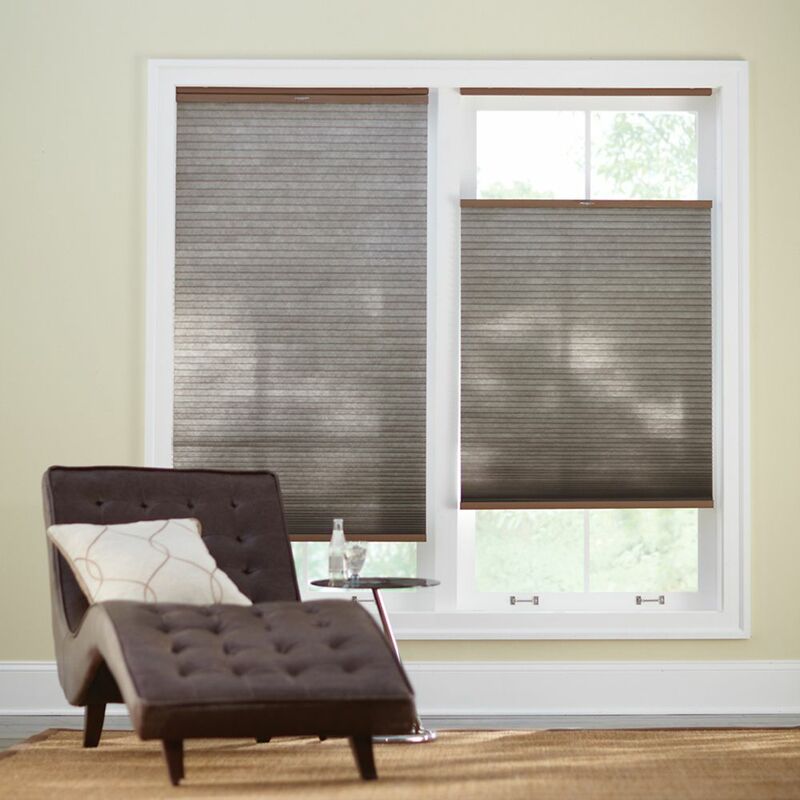 Cordless Top Down/Bottom Up Cellular Shade Espresso 27-inch x 72-inch (Actual width 26.625-inch) Cellular Shades not only enhance your windows, and room but your wallet too. Energy saving Cellular Shades can save you money on heating and cooling costs by insulating your windows from heat and cold. Home Decorators Collection Cordless Top Down/Bottom Up offers versatility in light and privacy control by allowing you to lower or raise the shade from the top down or the bottom up. The honeycomb cells are made with durable fabric that form crisp, clean pleats to keep your window looking sleek.